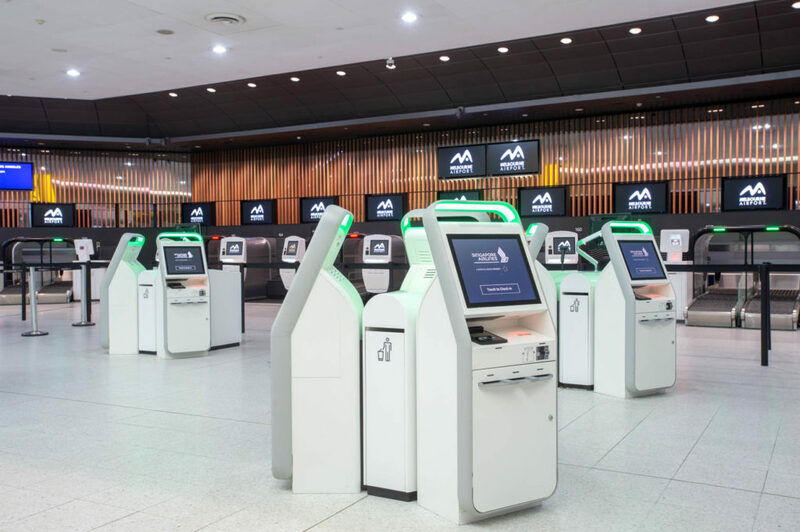 The Terminal 2 (T2) Check-in Counters project responded to the fundamental demand for additional Check-in capacity for the International airlines operating out of Melbourne Airport. The old T2 Check-in Hall was cluttered, with constrained circulation and poor line of sight. Efficiency studies carried out in May 2016 found that the most efficient use of the existing footprint was to expand the Common User Self Service (CUSS) provision thereby increasing flexibility and potentially unlocking dynamic utilisation of check-in facilities. The Airlines were also expressing significant interest in CUSS as it increases their operational efficiency for less operational cost. This project responded, as a first step, to the fundamental demand for additional Check-in capacity for the International product by transitioning Zones N, O, M and L to CUSS. The construction activities revolved around the replacement of the traditional manned check-in desks with hybrid desks which can be used in operator mode or as self-service kiosks, and the installation of new kiosks and operator desks. Furthermore, the project also included base interior works such as new flooring, wall finishes, lighting and dwarf wall construction. Root Partnerships was appointed in 2016 to provide project management services to drive completion of the Feasibility, Schematic and Detailed Design phases under an accelerated program. Root Partnerships administered and superintended the construction Contract between FIMMA Constructions and Melbourne Airport, whilst also facilitating effective communication between the project’s stakeholders to ensure disruptions to Melbourne Airport’s operations were kept to a minimum. The most significant challenge the project team faced was working in one of the busiest areas of the building/terminal (at front facade) where management of excessive construction noise became a challenging factor. Root Partnerships worked closely with Melbourne Airport, FIMMA Constructions, Umow Lai and their team of engineers to ensure there was minimal impact and disruptions to the surrounding areas where the Check-in operations were carried out by several airlines.